The Gateway Hub is a collaboration between local health professionals, educators, police officers, justice workers and other service providers from 18 community partners, including the CMHA Nipissing branch. In just over one year since launching it has addressed more than 100 high-risk situations. The Gateway Hub is part of Community Mobilization North Bay and is modeled after the Hub Model in Saskatchewan to provide an integrated approach to reduce crime, emergency room visits and calls for service by addressing the needs of individuals and families at risk. Community agencies meet twice a week to discuss cases and plan how to respond in a coordinated and proactive way. Read more about the initiative on Bay Today’s website. Community partners in Sudbury took notice of the North Bay initiative and launched Community Mobilization Sudbury. As part of this initiative, partner agencies meet twice a week at a Rapid Mobilization Table which focuses on identifying situations where individuals are at high risk of harm and ensuring they are connected to appropriate and timely supports. The table started out with only eight founding agencies and, has since grown to 20 partners ranging from police, to children’s aid, to CMHA Sudbury Manitoulin. Depending on the situation, applicable partners come to the table to plan a response and subsequently, one or two agencies carry out the response. In the first six months, the table looked at 60 cases and responded to 45. For more information, visit the Community Mobilization Sudbury website. 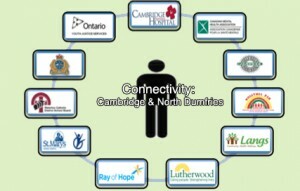 Similar to North Bay and Sudbury, the Connectivity Cambridge Table in the Waterloo Region is a cross-sector approach that aims to meet the needs of individuals and/or families who are at elevated levels of risk in the community. 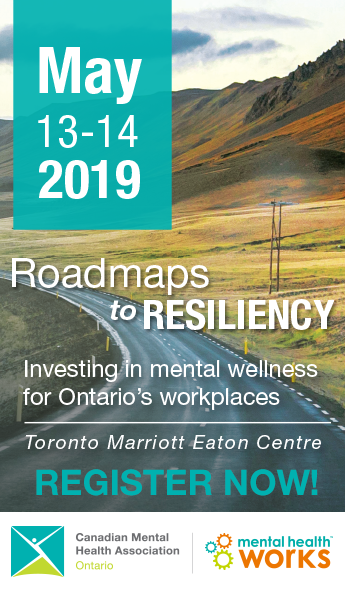 The Table includes 14 agencies, including CMHA Waterloo Wellington Dufferin, which have been meeting each week to discuss situations of elevated risk and to provide a coordinated immediate response from multiple human service providers. The goal of this initiative is to provide solutions in 24 to 48 hours, to reduce the level of risk and, to support individuals in accessing the services they need in their community. The Connectivity Cambridge Table has been meeting since January 2014 and has allowed the human services system providers to divert caseloads and provide coordinated responses to situations in an effective and efficient manner. The table saw more than 70 cases in its first nine months and continues to look at trends in risk factors in order to identify opportunities for systemic change. The region has also established a Connectivity Kitchener Table that has been running since October 2014. For more on the Waterloo region Connectivity Tables, check out this factsheet and video.